It's Buctober! My beloved Pittsburgh Pirates are back in the MLB Postseason for the second straight year, playing the SF Giants tonight for the right to go on and face the Washington Nats in the divisional round. I created this little image to celebrate the season...and it's a sticker too if you're interested! 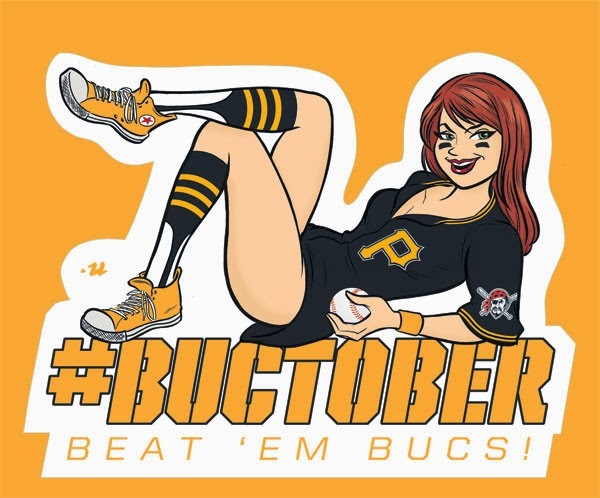 Beat 'em BUCS! I wish Buctober had lasted longer. But I great sticker, as always.